On second thought, maybe she didn't mean six months? Investors jumped back into the stock market Thursday as they reconsidered what Federal Reserve chair Janet Yellen said Wednesday in her first official press conference. The Dow Jones industrial average, the S&P 500 and the Nasdaq all ended up for the day. 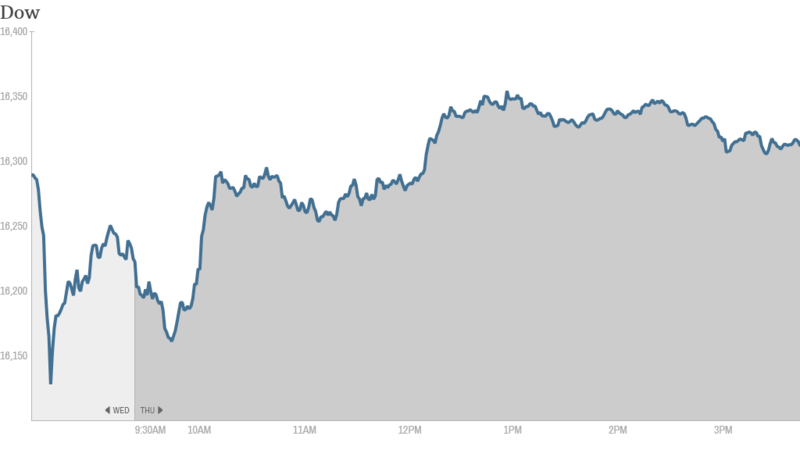 The Dow had gained more than 100 points earlier, but closed below its highs. Investors are digesting the outcome of the Federal Reserve's policy meeting Wednesday -- the first under the direction of chair Janet Yellen. While the Fed's official statement was as expected, investors were caught off guard when Yellen suggested in a press conference that the central bank could begin hiking interest rates just six months after its bond buying program ends. The comment, along with new projections from Fed officials on when a rate hike could occur, raised concerns that the Fed could begin raising rates in the middle of 2015. But worries about interest rates eased Thursday as investors reconsidered Yellen's comments and bet that she will refine her message with time. Yellen may have "communicated a policy outlook that appears more binding than we believe she intended," analysts at Credit Suisse wrote in a note to clients. "We wouldn't be surprised if she tries to convey a more flexible policy stance in her next public appearance." Meanwhile, the U.S. dollar rallied against its main trading partners as investors focused on the more hawkish tone of the Fed's latest policy statement. The Chinese yuan hit a one-year low against the dollar. European markets fell Thursday, while Asian markets closed with losses. On the economic front, the U.S. government said initial claims for unemployment benefits rose last week. An index of manufacturing activity by the Federal Reserve Bank of Philadelphia bounced back in March. The National Association of Realtors said rising prices and cold weather weighed on sales of existing homes in February. 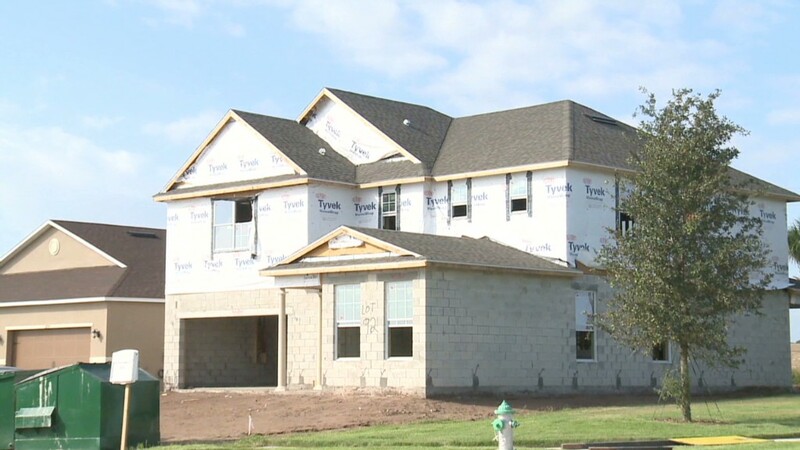 In corporate news, homebuilder Lennar (LEN) issued a strong report and said new orders in its latest quarter rose 10%. But the stock fell despite the strong results. Shares of other residential construction companies were also lower, including KB Home (KBH), D.R. Horton (DHI) and Hovnanian (HOV). The group rallied on Wednesday though, following strong earnings from KB Home. Bank stocks gained ahead of the release of the Fed's latest round of stress tests following the closing bell. Bank of America (BAC), JPMorgan Chase (JPM), Wells Fargo (WFC) and Morgan Stanley (MS) all ended sharply higher. JPMorgan and Wells even hit all-time highs Thursday. The stress test results showed that all but one of the 30 banks that the Fed reviewed have sufficient capital to withstand a crisis. The one "failure" was regional bank Zions. Shares of ZIons fell slightly in after-hours trading. 3D printer stocks fell after ExOne (XONE) reported a larger-than-expected loss and issued an outlook that disappointed investors. 3D Systems (DDD)and Voxeljet (VJET)were caught in the downdraft. This sector has been extremely volatile lately and one StockTwits trader was not surprised to see ExOne taking a hit. "$XONE Another 3D Printing stock being shot down 'I am shocked' said no one to nobody... I can't wait for $VJET earnings," said JFinDallas. But others say the selling was overdone and presents a buying opportunity. "$XONE seems to be the most hated stock right now. I like going against the grain. Think the worst has passed," said Tutti. Shares of Chipotle Mexican Grill (CMG) rose to an all time high above $600 after analysts at Sterne Agee said the stock could hit $742 in the near future. "Crazy to think $CMG could be $750+, but its possible - folks searching for the next $CMG... maybe $CMG is the next $CMG (forgot who said that)," wrote OMillionaires in a tweet. Chipotle shares have surged 900% over the past five years as the burrito chain has enjoyed strong growth. But the stock has been heavily shorted by investors, such as hedge fund manager David Einhorn, who say it is overvalued. "$CMG: brother can you spare a dime? went broke with my CMG short. Followed Einhorn to the poorhouse," said contrarianspeculator. Shares of Guess (GES) fell after the apparel maker's revenue forecasts fell below analyst expectations.